It was 40 years ago today when Mobile Suit Gundam premiered on TV. In honor of the anniversary, NHK (the public broadcast channel in Japan) aired a documentary that interviewed Tomino Yoshiyuki and other creators who were there at the start to find out what it was like behind the scenes. Naturally, the special is in Japanese, making it indecipherable to us, but someone has quite handily taken the time to translate all the pertinent information into English. Learn why there are no aliens in the story, why Amuro Ray is a loser, why the enemy Gundams could have wilder designs than the heroes, and more. It's a really cool look back. In creating Gundam, Sunrise just wanted to create something that would last long enough to get a compilation movie. Forty years and dozens of series later, Gundam has far surpassed that goal. 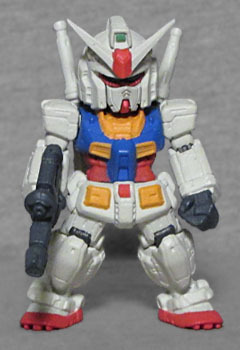 This entry was posted in news and tagged Gundam. Bookmark the permalink.